Don’t think of yourself as a photographer, think of yourself as a marketer of photographic products and services. You may be the best photographer in the world but without investment from you in marketing to help raise awareness of your business, it will be sadly doomed to failure. 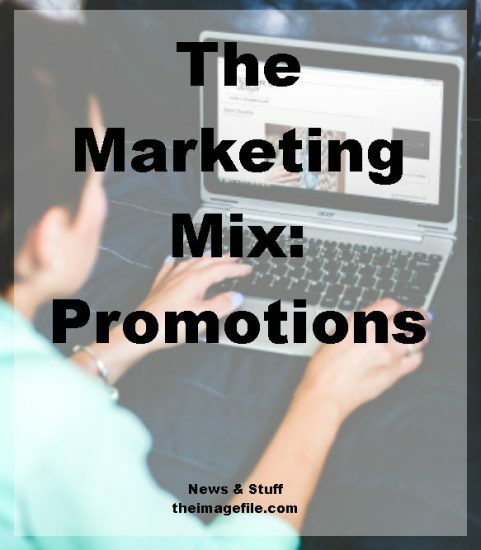 Marketing has traditionally been split into the four Ps of the marketing mix– Place, Price, Product and Promotion. From the outset, marketing your business is essential, only once you are established and at a level which you are happy with, may you wish to take your foot of of the marketing pedal, as repeat business kicks in and word of mouth spreads. Some businesses are very happy with a certain level of business and do not wish to grown beyond that, that is absolutely fine, conversely some businesses want to continually grow. Marketing has traditionally been split into the four Ps of the marketing mix – Place, Price, Product and Promotion. All the four Ps need to be considered in relation to each other, and we will cover each one off separately in our next set of blogs. We’re going to start with Promotion. Where and when can you get across your marketing messages to your target market? Will you reach your audience by advertising online, in the press, direct marketing, PR, Internet, attending exhibitions? When is the best time to promote? Is there seasonality in the market? PR with media could look to providing photography for venue profiles and event features that fit with off-season events or late summer specials. Self-promotion and getting outside your comfort zone are never easy things to do, but neither is starting or growing your business. Advertising in traditional media might not be the best approach given the national market and the expense attached. Putting money towards direct approaches to influential individuals on LinkedIn or adverts targeting this sector of people could be more effective. Covering high profile events for free initially, proving your skills and ability to be in the right place, is one approach. Offering to work on interesting magazine profile shoots or assisting more established photographers is also an option. Developing a network of contacts to whom you send updated portfolios, and covering smaller events to create a portfolio worthy of covering larger, more high-profile events is key. These contacts could be at media, venues, PR and media agencies, sports clubs. Self-promotion and getting outside your comfort zone are never easy things to do, but neither is starting or growing your business. Pushing the boundaries will always turn up new and worthwhile opportunities.